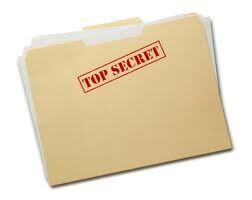 Shhhh… don’t tell anyone – particularly the other Rainmaking Trainers and Legal Marketing “experts” out there. There is no one way to become a rainmaker. If you have been trying to fit yourself into a mold of what a rainmaker looks like or does and it hasn’t been working, the reason is that you are not being authentic to yourself. There are literally hundreds of different Rainmaking Tactics and Techniques that you can use*, but if you are using one because you heard it was “more effective” than others and it is still not bringing you in clients, then you are not using the right tactic or technique for you. Not everyone should blog nor should everyone should give public seminars. The fact is that each lawyer and law practice is different and using a technique or tactic which you are not comfortable doing will only cause you to stop taking action. And it is action that will make you a rainmaker. The key thing is that Rainmaking is about creating relationships. Find the one or two or three Rainmaking techniques that allow you to create relationships with others and perform those consistently. *A blog will be posted on Friday, January 5, 2013 here with a list of Rainmaking and Legal Marketing Activities which you can consider using to grow your books of business.